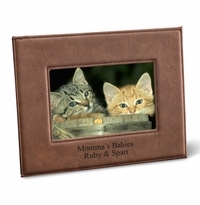 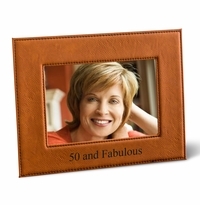 DETAILS: This simulated suede leather 5x7 frame is one of the best gifts for her. 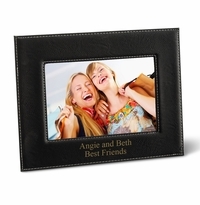 It provides the perfect presentation for a family picture, especially with an accompanying loving message. 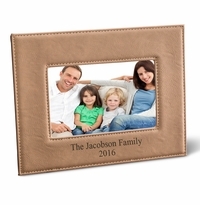 The shiny suede leather is perfect for most home décor styles and households. MEASUREMENTS: 7 3/4" x 9 3/4"